Royal Life Centers strongly believes in giving back to the communities in which we operate. We have developed multiple opportunities for our guests and staff to actively participate in bettering our community. Working toward a common goal helps to build and strengthen our foundation, while also reinforcing our mission and values. Our dedication lies in creating long-term change in the lives of our guests, their families, as well as our community. Our community involvement fights prejudice and helps to increase public understanding. Further, we are determined to change the negative perception and stigma surrounding substance use disorder, Because We Care. On a regular basis, we distribute small care packages, called Elliot Bags, to the homeless population within our local community. The idea stems from the mother of a former guest who tragically passed away. Labeled with the name of a guest who has passed away, we fill each bag with essential living items such as food, water, hygiene products, a blanket, and a poncho. The Elliot Bag project goes hand in hand with our homeless sponsorship program, offering treatment scholarships to bag recipients. Every month we offer a fully paid scholarship to treatment for two homeless individuals. After an individual has completed our program, we welcome another homeless person in need the opportunity for treatment. Substance abuse is often a cause for homelessness. 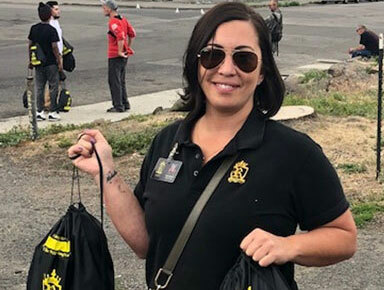 In fact, a large portion of the homeless population has some kind of substance use disorder, however, access to help is usually quite limited. Breaking an addiction is difficult for anyone, especially when faced with the hardships of the streets. Being estranged from friends and families, coupled with the lack of a social support network typically makes recovering from substance abuse while homeless extremely difficult. At Royal Life Centers we believe everyone deserves a chance at recovery and finding a new way of life. 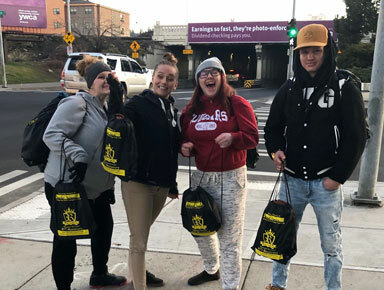 As another example of our commitment to community pride, Royal Life Centers adopts local streets to support the neighborhoods in which we operate. 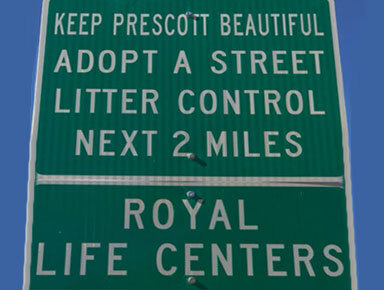 By participating and “adopting” a road, we directly contribute to the beautification of Prescott, improving the community’s appearance and allowing maintenance crews to perform roadway services. Guests and staff regularly volunteer for our regular clean-ups, strengthening community relationships in the process. We are constantly looking for other community projects in which we can give back to our city and serve others. Additionally, we work with local municipalities to coordinate local trash pick-ups around the city. 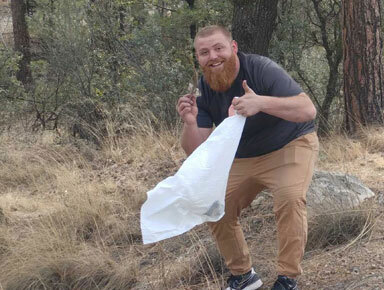 Community service helps guests to connect with one another and take responsibility for their own environment. Serving your local community is a wonderful chance to practice being selfless and putting self-seeking behavior aside. Royal Life Centers remains committed to doing its part to serve the communities in which we operate. For questions or inquiries about any of our programs, feel free to contact us at (877)-RECOVERY or (877)-732-6837.